We are headed in different directions today after the round. He will head to Augusta National for the last little bit of work. I will go home! 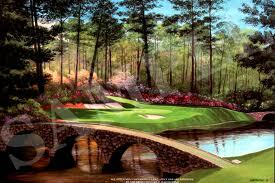 Can't believe it's almost Masters time! Beautiful morning here in Orlando! Excited for a great day. First round tee time 8:15. Tiger and i bonded this morning while doing will call tickets. May be a circus with his group directly behind us. Round 2, 12:45 (I think). Sorry for the lack of updates.... here's a bunch! I went on a world wind girls trip to Athens, Ga this past weekend for a wedding. 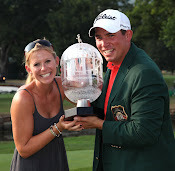 We're so happy for Kevin and Britney Kisner! We're back and in Orlando. Today he played in a ProAm and had his dad caddy. Pretty cool for both of them. Great news!! We found out Josh and Stephanie Graham (our caddy and his wife) are having a BOY! Congrats guys! Today, is two very special peoples birthday! We had a great birthday dinner tonight! Happy Birthday Sarah and Thomas!!! 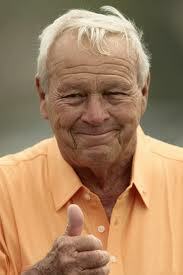 We're excited to say we both met Mr. Palmer today. It's an honor to be here and we're excited about a great week! how fast the time goes... we're headed back! 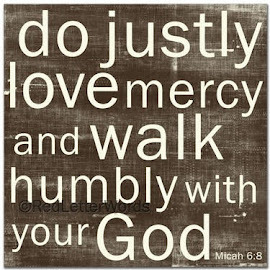 We're asking that you pray with us for ours sweet friends Jarrod and Briony. They've got a fight on their hand and they need all the prayers they can get. 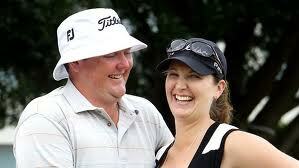 AS he prepares for the birth of his first child, news emerged this morning Australian golfer and cancer survivor Jarrod Lyle has reportedly been struck down by leukaemia for a second time. 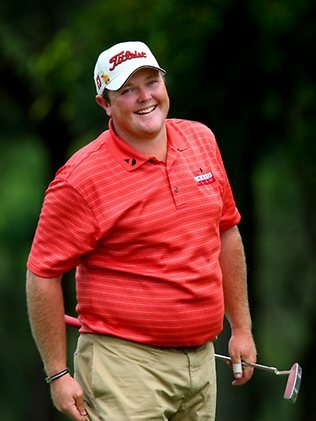 The 30-year-old was diagnosed with acute myeloid leukaemia as a 17-year-old but overcame nine months of bed rest and chemotherapy to become a professional golfer on the US PGA Tour. Lyle achieved the highest finish of his US PGA Tour career at the Northern Trust Open a little over a fortnight ago when he finished in a tie for fourth alongside Sergio Garcia. Lyle flew back to Australia last week for the birth of his first child, now due to be induced on Friday after the health revelations. Close friend and fellow Australian golfer Robert Allenby, who befriended Lyle during his first stint with cancer, commented on the news via social network Twitter at 2am this morning. After beating leukaemia in 1999 - then learning chemotherapy would not prevent him from having kids after all - the 30-year-old from Victoria said he had never felt better during the recent Australian summer of golf. "On the course it's been really rough, but off the course it's been an awesome year,'' Lyle said in November. Unfortunately, Lyle was forced to pull out of the Honda Classic in Florida last week and returned home to Australia because of an arm infection caused by a bite from an insect in Mexico. Lyle's two professional tournament wins came in 2008 when he claimed victories at the Mexican Open and Knoxville Open on the (US) Nationwide Tour. Scott made some full swings yesterday. It's great to see him so happy to be back on the course practicing and playing. He is heading back down to Augusta with Josh (his caddy) this weekend. We will make his return at the Transitions Championship. Then play he'll play Bayhill and the Masters. 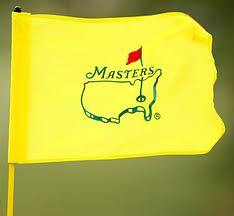 Scott and his coach, Brad Rose, are currently at Augusta National. He received some advice from Kenny Perry about preparing for the event. They are down there for a couple of days doing that. Kenny played really well there in 2009 (i think?). It's Scott's first time back playing. He's slowly working into practicing again and I believe he still is not hitting his driver yet. 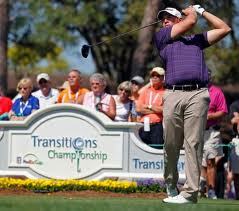 He is hoping to return to competitive golf in Tampa at Transitions but that is still unknown. I do believe he will play Bayhill for sure. His injury is tough because it can only get better with time.